In celebration of Calgary 2012, as Canadas Cultural Capital, MOCA Calgary has prepared a series of related exhibitions as a centenary snapshot of the two years 1912 and 2012. The first of these exhibition components surveys the extraordinary richness of contemporary Alberta art. The project Made in Alberta gathers together over 60 of the most prominent visual artists at work in Alberta. It comprises something of a yearbook of highlights from the 2012 season of art exhibitions. The list of artists was selected by Jeffrey Spalding, Artistic Director, MOCA Calgary together with Kayleigh Hall, Curator, The Art Gallery of Calgary and Paul Kuhn, Director Paul Kuhn Gallery, Contemporary Art. 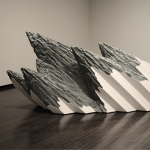 Owing to the scale of the works selected and the large number of artists included, the project will be shown in four parts: part one and three at MOCA Calgary, part Two at Paul Kuhn Gallery and part four at The Art Gallery of Calgary. Alberta can be very proud of the achievement of its artists; visitors will sample fine works in a variety of media: video, photography, sculpture, painting, drawing, collage, installation and printmaking by artists from throughout the province. While some recent surveys have focused primarily upon introducing new talent, the intention of Made in Alberta is decidedly different. On occasion of Calgary as Cultural Capital the curators felt it was useful to do an exhibition as a form of stocktaking, to monitor and represent to the public a compendium of things that stood out as exemplary during this past year of special exhibitions. In some instances, that meant acknowledging artists of long-standing senior achievement while others impressed us through their very first exhibition introduction. The list of artists selected for presentation in Made in Alberta (part one) includes: Kyle Beal, Catherine Burgess, Dave and Jenn, Julie Duschenes, Douglas Haynes, Dan Hudson, Mona Kamal, Kristopher Karklin, Brendan McGillicuddy, Mark Mulllin, Erik Olson, Colleen Philippi, Bill Rodgers, Catherine Ross, Blake Senini, Ryan Sluggett, Larissa Tiggelers and John Will. The final list of artists selected for presentation in subsequent parts II, III and IV will be released at a later date. Narrowing down the list to solely 60 artists was a difficult process. In part the survey could have been said to start earlier in 2012 as MOCA Calgary presented an exhibition survey of the finest works by contemporary Aboriginal Alberta artists “Narrative Quest”. The overall project 1912/2012 is a series of projects encompassing exhibitions, performances, lectures and related programs of significant historical and contemporary arts, architecture and music from Calgary, Canada and the world. 1912/2012 recounts the cultural environment as experienced in Calgary 1912 and contrasts significant aesthetic highlights from the 2012 season in anticipation of Calgary 2013, its future and the place of its artists upon the world stage. 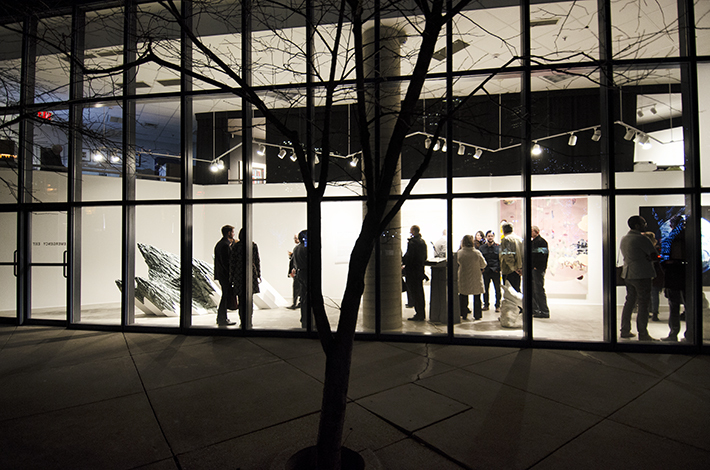 MOCA Calgary gratefully acknowledges the funding support of Calgary 2012 and thanks The Art Gallery of Calgary and Paul Kuhn Gallery for their partnership and participation.